Amazon India portal has gone live with a dedicated landing page for OnePlus 6 today with ‘Notify Me’ option. Though the official launch date and pricing is not yet revealed, it is safe to assume that the much- anticipated flagship from OnePlus is going to launch very soon. Speculations are rife that the launch may take place by end of this month as Amazon usually makes such dedicated pages couple of weeks prior to the actual launch. Can’t wait for #TheSpeedYouNeed ? Get notified about the #OnePlus6 on Amazon India! “OnePlus 6 is inarguably one of the most anticipated smartphones in India today. We are glad to remain the partner of choice for such an iconic brand for over 3 years now and bring our customers exclusive access to the new OnePlus 6. Customers can visit the dedicated Amazon.in OnePlus 6 page (www.amazon.in/oneplus) at 00:00 hrs tonight and follow the instructions to get notified with updates for the new OnePlus 6!”, said Noor Patel, Director of Category Management at Amazon India while commenting on the launch of the dedicated landing page. There has been a lot of buzz around the smartphone from the start of the year 2018. The specifications of the device have been leaked several times and OnePlus has also officially confirmed several features and specifications via its social profiles like Facebook and Twitter. Company has already confirmed the iPhone X-like display notch which has not gone down well with most of the OnePlus fans. 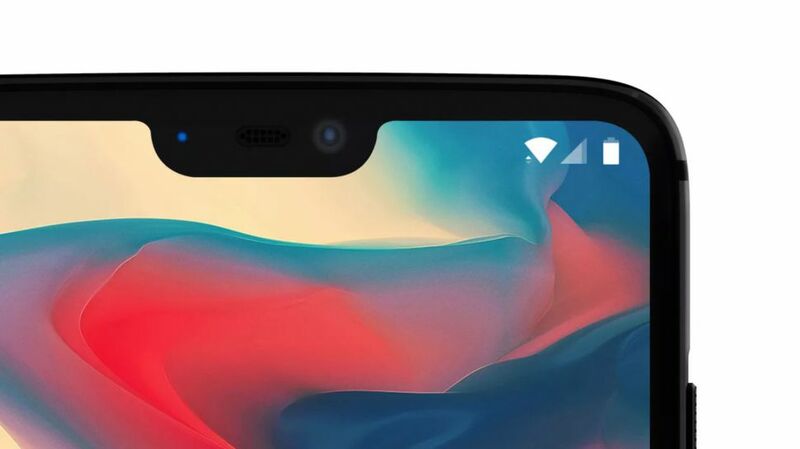 Thankfully, OnePlus will provide an option to the users to hide the notch in landscape mode. Other confirmed specifications include latest and fastest Qualcomm Snapdragon 845 SoC, 8GB RAM and 256 internal storage. It is still not confirmed if there will be any other memory variant in addition to 256GB. OnePlus also gave hints of several features via its twitter handle. One of the tweets read, “Same expert craftsmanship, new materials #OnePlus6”. This probably hints at back panel made of glass and thus the wireless charging support. Another tweet was- “Don’t you just hate it when you have to stop using your phone when it rains? So do we.” Needless to say, this suggests that the OnePlus 6 will be water proof or water resistant. Considering its a flagship, one can expect at least IP67 certifications which means the phone can withstand immersion in water up to one meter for up to 30 minutes. OnePlus 6 aims to take on iPhone X with this feature as the iPhone X also IP67 certified. Notably, the recently launched Samsung Galaxy S9 and S9+ are IP68 certified. OnePlus 6 is expected to sport a 6.28-inch AMOLED Full View display with an aspect ratio of 19:9. The phone will feature a vertically stacked dual camera setup (20MP + 16MP) on the rear along with a fingerprint sensor. OnePlus had recently also teased about OnePlus 6 Avengers-Infinity War Edition on its Weibo account which is a Chinese social network. OnePlus is known to launch smartphones with power packed performance topped with an aggressively competitive price tag. 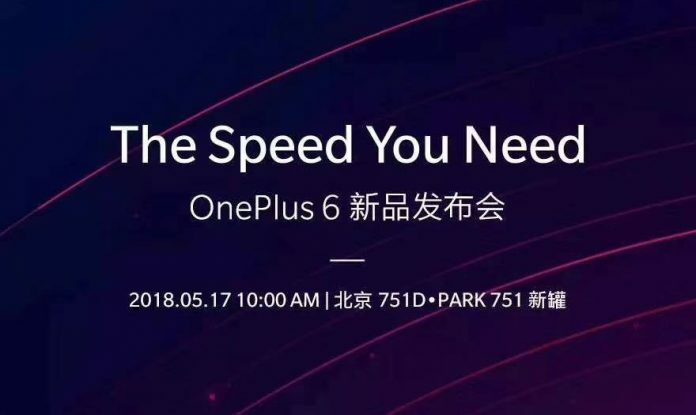 OnePlus 6 will be competing against the likes of Xiaomi Mi Mix 2, Samsung Galaxy Note, Galaxy S8, Galaxy S9 etc. Stay tuned with us as we’ll get you all the latest updates on soon to be launched OnePlus 6, including the pricing and official launch date.